We do Easter in my house with Jesus and plastic eggs. 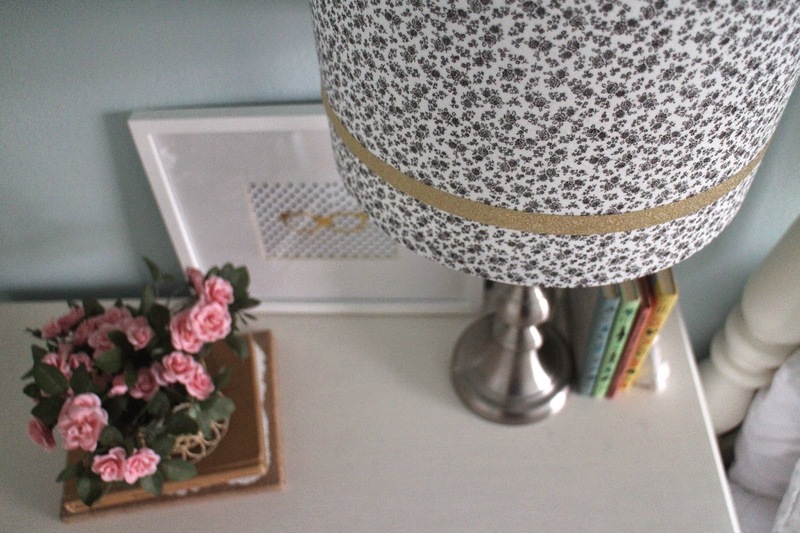 I like to keep it simple :) I have a few little things that I like to put out for decor too. When we see them, it reminds us that we are in the Easter season, the season of Lent. 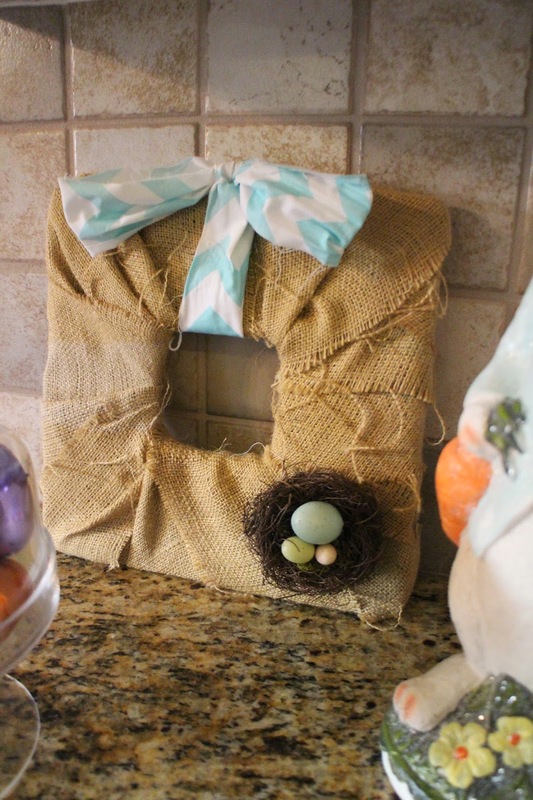 I made the rustic twine Easter eggs a few year ago. Here is the link to that post. And I had to add this photo-- because these little sticky window clings have brought SO much happiness to my 5 year old. She was so proud to help me decorate the house for Easter. 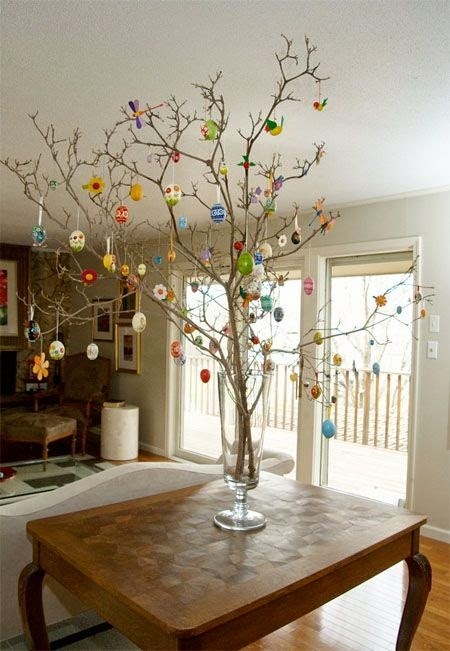 Besides hanging all the eggs on the little table trees, she was in charge of the window decor. I love when something so simple (and cheap) can bring so much joy. In the kitchen, have another sparkly bunny. A square wreath - also a past project that you can see here. 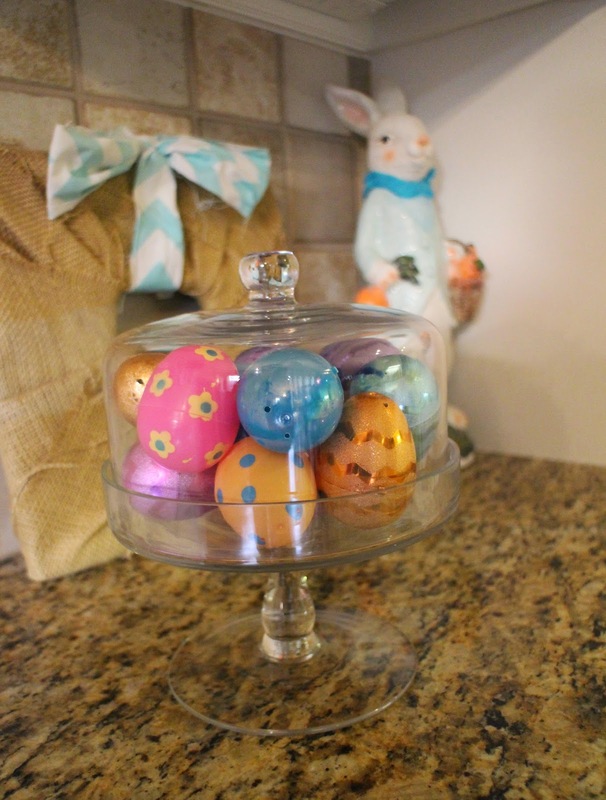 And then I put some plastic eggs in a covered dish. I feel like we have to be careful not to get too crazy with the Easter bunny. It's not his season. This is the time for Jesus. 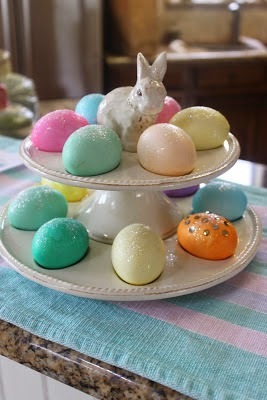 The Easter eggs symbolize the Resurrection of Jesus. So I like to think of the bunny as a symbol of spring. And spring reminds us of new life and light-- the light that Jesus brought into the world. 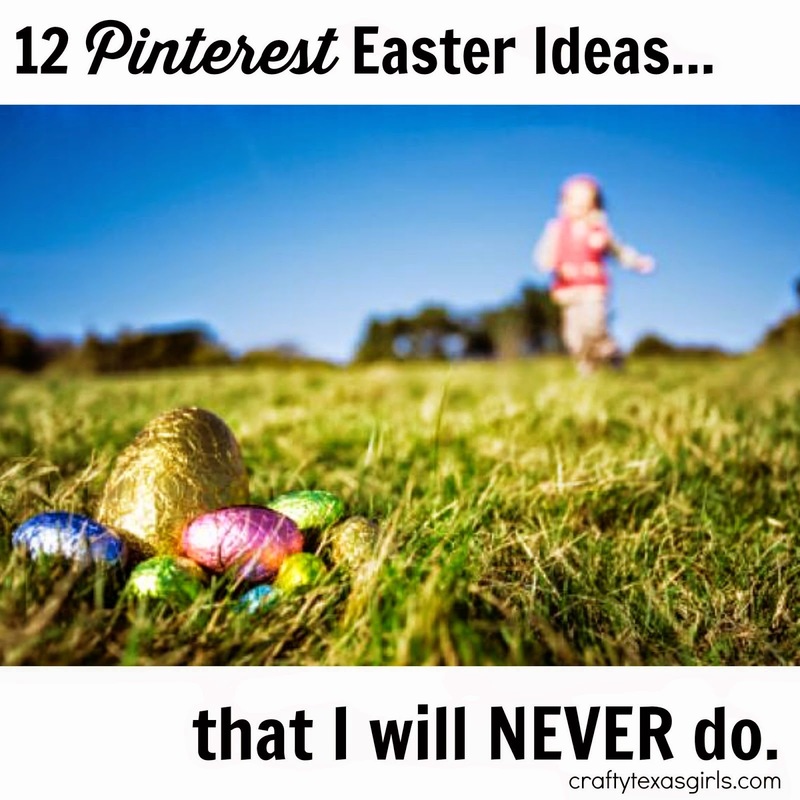 Get these free printables by clicking here. Our family has a few traditions we do every Easter Week. 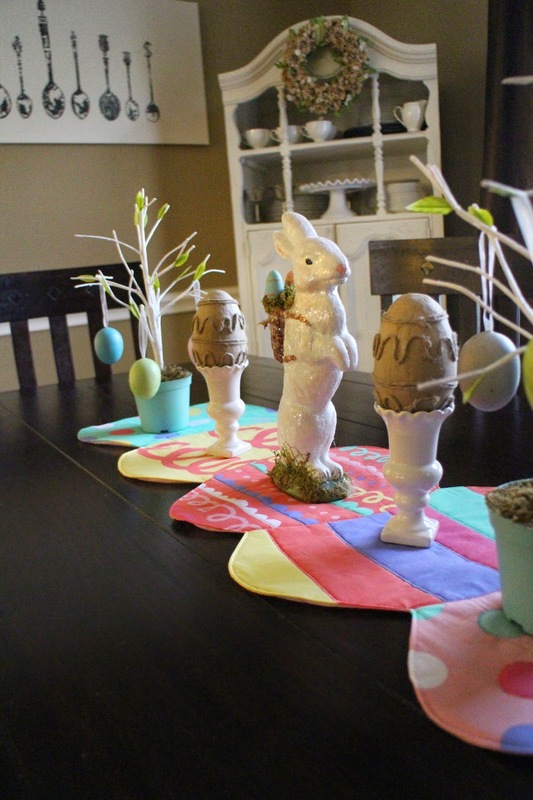 I do some kind of Easter decorating at our home. We go to church on Maundy Thursday. 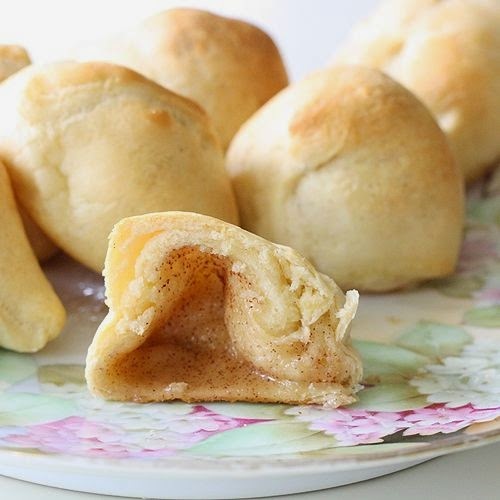 And then make Resurrection Rolls together to eat on Easter Sunday. Photo via Taste of Home- see her post for the recipe. On Sunday, we get dressed up and go to church. We do Easter baskets and fill them the happy treats. My family gathers together to share a meal and celebrate that He has indeed Risen. 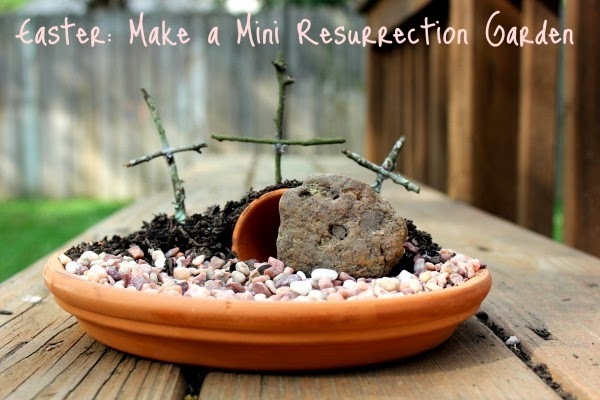 This year, I also want to try this Easter garden, shared on 'We Are That Family'. See this post for details. 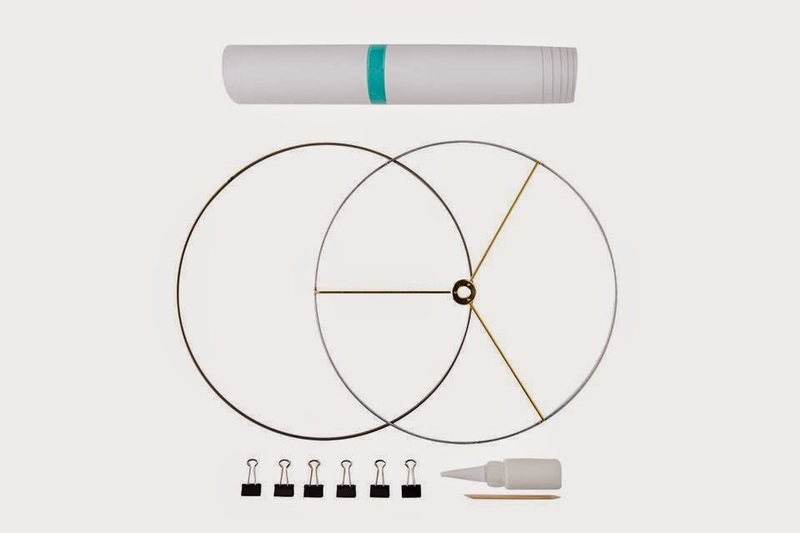 I was sent this kit from "I Like That Lamp"--a site dedicated to demonstrating how easy it is to create your own lighting. 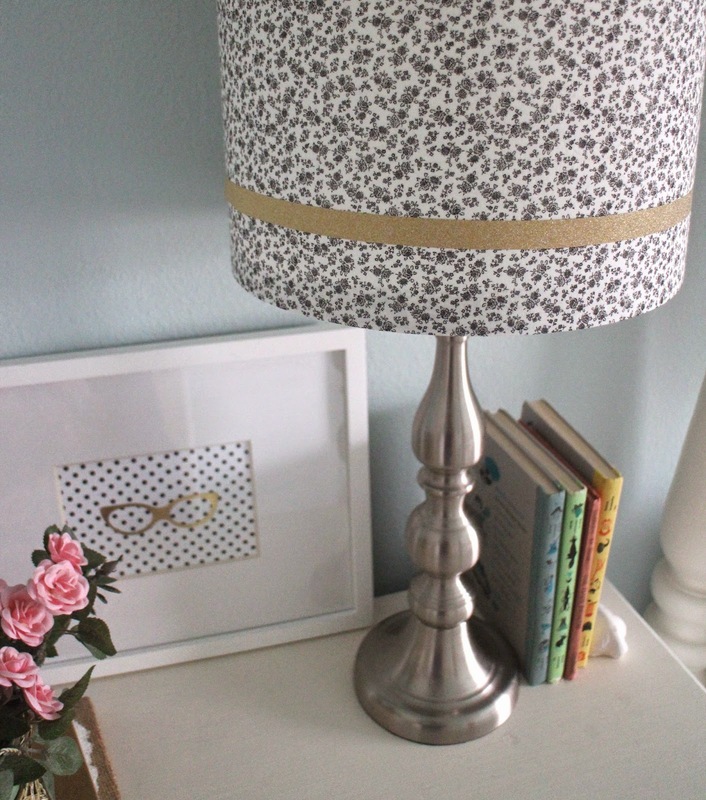 They have created all-inclusive lamp and lampshade kits that make it easy to make a lamp you love. 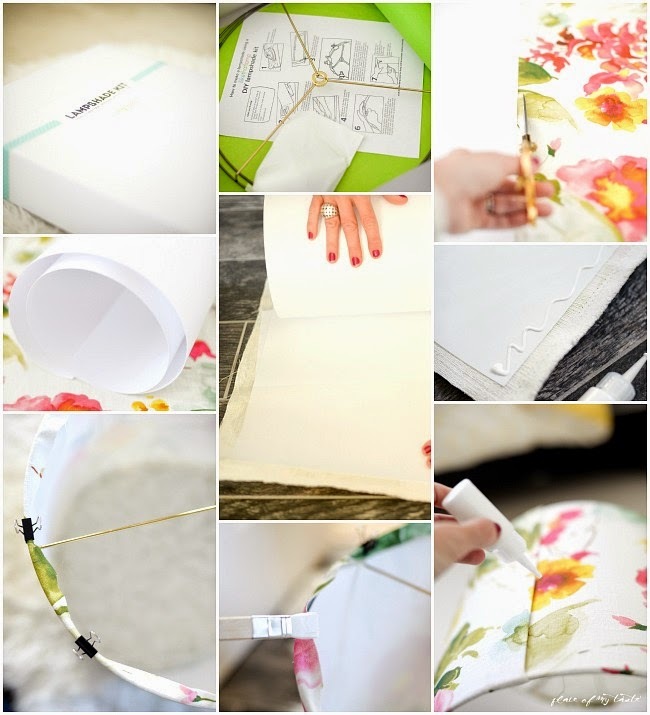 The kit includes everything you need to create a custom lamp shade-- that you love. All you need to provide is your favorite fabric and a paintbrush (to apply the included glue). - Online 'quick guide' to help you determine the proper shade height & diameter for your base. Image via "Place of My Taste" featured on "I Like That Lamp"
The instructions are easy to follow for those who love a good DIY project. Simply apply fabric to the included adhesive styrene backing. Then secure the fabric on the rings with the included binder clips. Finally apply glue to the fabric to attach it to the rings. The illustrated instructions are easy to read! The project didn't take long and it added a lot of design detail to the room. 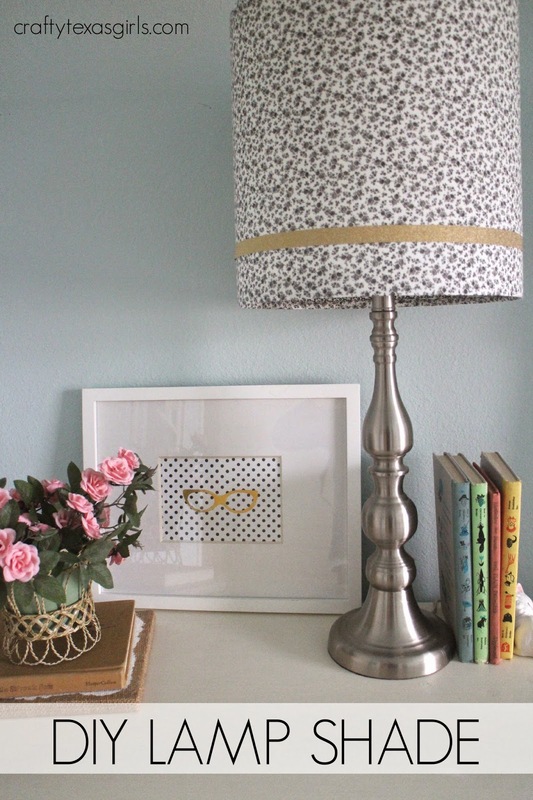 You can get your own kit at "I Like That Lamp" and create a custom shade for your home. Thanks to "I Like That Lamp" for providing the kit. No compensation was received, opinions are all my own! I have worn both bikinis with flip flops and sweaters with boots -- in the same week! That's because Jeff and I spent a few days in Cancun, Mexico. And when we came home from our tropical trip, the 'ever-changing North Texas weather' brought four inches of snow. It was a crazy few days. But back to the Mexico part.... 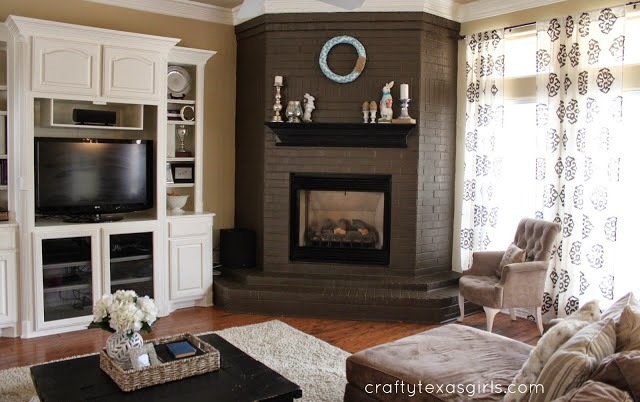 I shared several photos from our long weekend on Instagram (@craftytexasgirl). But I thought I would add some here too. 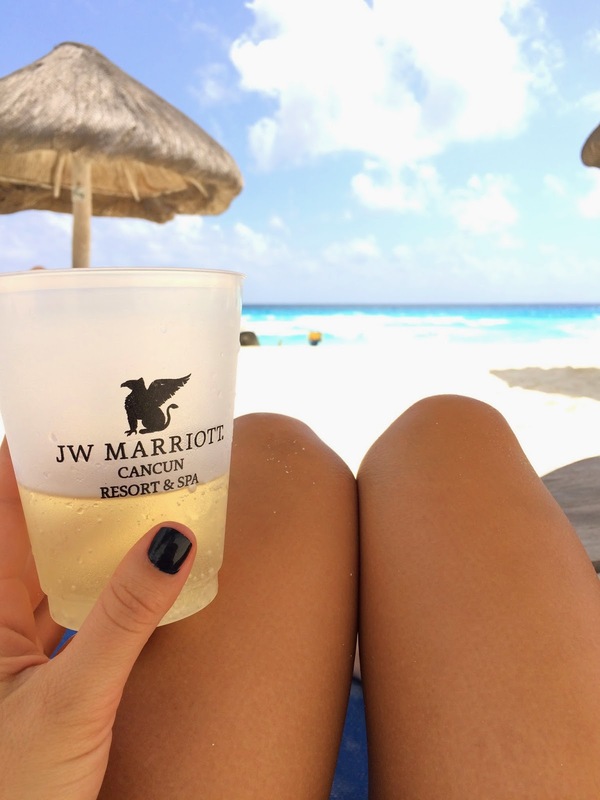 Because you never know when you will find yourself booking a trip to Cancun in the near future. 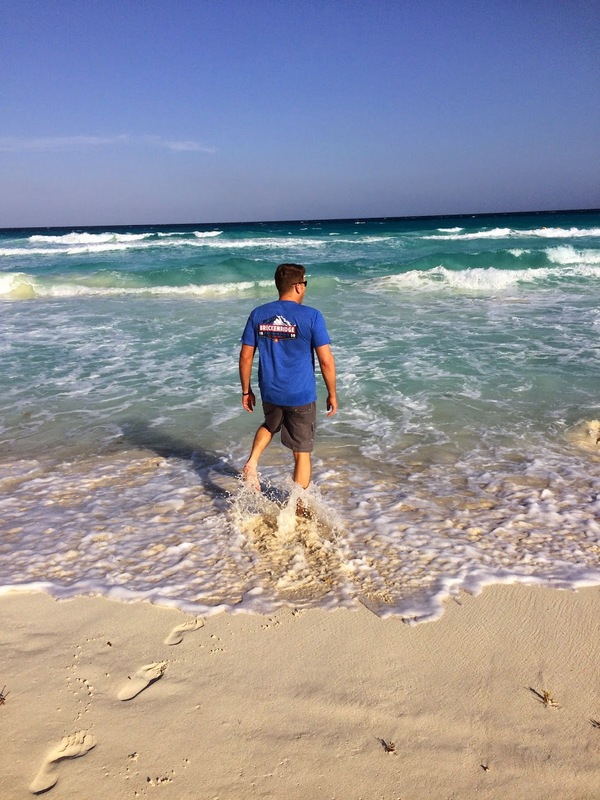 We stayed at the CasaMagna Resort in Cancun. We are "Marriott people" so we loved this resort. It was next to the JW Marriott. We had access to those pools, restaurants etc. as well. But we honestly preferred the Marriott to the JW. 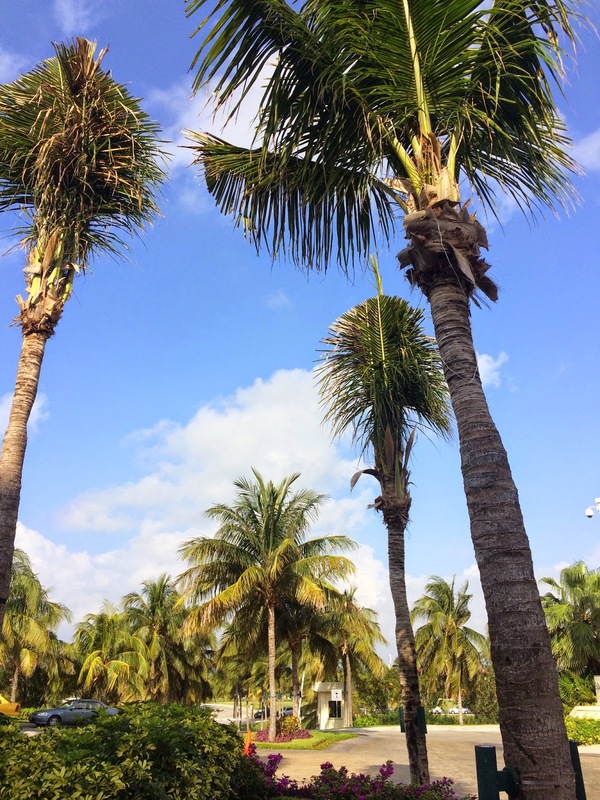 We soaked up the warm weather, it was around 80 degrees and sunny. Late February in Cancun, Mexico is gorgeous. We ate, drank, and basically just relaxed by the ocean. Our Mexico trip coincided with our 12th wedding anniversary. 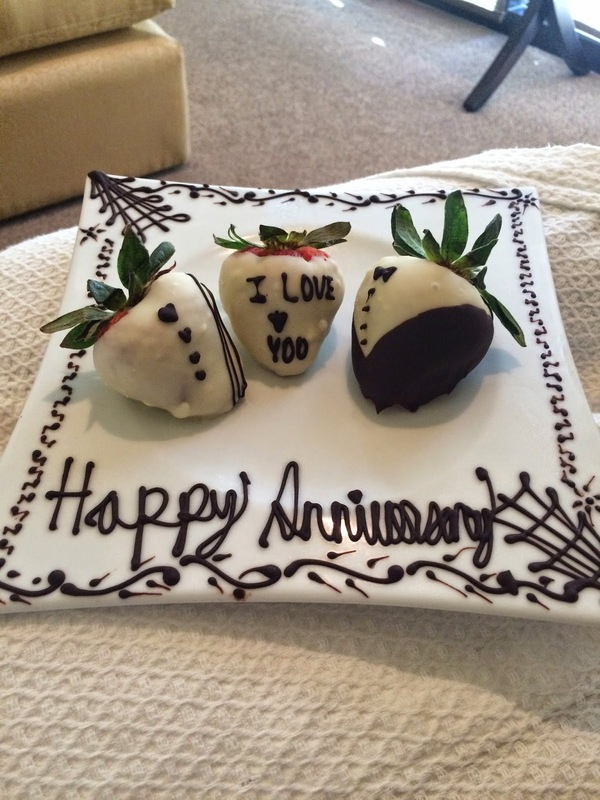 We celebrated with massages at the resort spa and a fun dinner. It was an amazing 4 days. Kind of hard to come home. Except for the fact that we missed our girls :) All that sunshine makes me excited for Winter to end and Spring to begin.